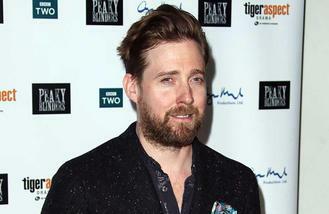 Frontman Ricky Wilson says the track is a "return" to their earlier sound and he's hailed it their first "love song" since 2007's 'Ruby' from their second LP 'Yours Truly, Angry Mob'. The 38-year-old singer explained: "When we wrote the first record we were very direct, little needed explaining. "The songs seemed to speak for themselves and did all the hard work for us. 'Parachute' is pretty self-explanatory and a bit of a return to that. 'Parachute' is probably the first love song we've written since Ruby." 'The Voice' coach went on to explain that the album has a bigger focus on relationships, more so than the band's previous efforts. He said: "When we finished writing the last record we realised that the most important thing to everyone is what's going on in their lives. Their "personal politics" and that's what this album is about. "If 'Education, Education, Education & War' was our protest album, then 'Stay Together' is our relationship album." He has also talked about how producer Brian Higgins - famed for his work with Girls Aloud - has influenced the record's direction, and on certain tracks has teased a new sound from Kaiser Chiefs. He said: "Brian brought a very different approach to song writing and recording, it was a steep learning curve but together we tried out new ideas and sounds and ended up with a new and fresh sounding Kaiser Chiefs album. Like no Kaiser Chiefs record you have heard before." Ahead of the the albums release the indie rockers will play a special fan-only show at the London Palladium on July 11. To be in with a chance of securing tickets fans can sign up to Kaiser Chiefs mailing list before midnight Tuesday 14 June to get access to a special pre-sale before tickets go on general release on Thursday 16 June.